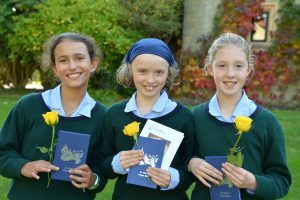 Last week, the whole school came together in the school Chapel for the annual Rite of Welcome, a longstanding traditional ceremony which welcomes new pupils and staff into the St Mary’s community. The Rite of Welcome was introduced by Sister Anna Hawke CJ in 1986 and is unique to St Mary’s. 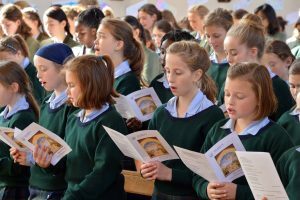 The choir led the whole school in singing their hearts out to Ave Maria Gratia Plena and Sing Hosanna. 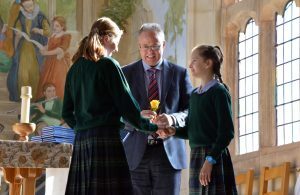 It was a ceremony that beautifully sums up St Mary’s, its values and the culture of the school and forms a lasting memory in the lives of the whole school community.